One of those arrested was Thomas Daubert, founder of the medical marijuana advocacy group Patients and Families United. Along with Richard Flor, Chris Williams, and Chris Lindsey, Daubert co-founded Montana Cannabis, a highly visible medical marijuana operation with locations in Missoula, Miles City, Billings and Helena. Daubert disassociated himself with Montana Cannabis in November or December of 2010, prior to the March 2011 raids, but the investigation of the business dates back to 2009. In particular, federal authorities allege that Montana Cannabis purchased marijuana from Big Sky Patient Care of Bozeman on a weekly basis for several months in early 2010 while trying to repair their own vandalized cultivation operation. After helping draft Montana's 2004 voter initiative legalizing medical marijuana, Tom Daubert hosted tours for state law enforcement and politicians, as well as for a documentary crew filming Code of the West, at the Montana Cannabis greenhouse alongside U.S. Highway 12 East in Helena. Daubert operated openly and declared that he had established a law-abiding business that would serve as a model to others. At his sentencing, Daubert stated that he kept records far in excess of what the state required, which helped federal authorities build a case against him. To avoid trial, Daubert, 59, pleaded guilty to a single charge of conspiracy to maintain drug-involved premises. He testified at the trial of co-defendant Chris Williams in September 2012. On September 6, 2012, Daubert was sentenced to five years of probation, 300 hours of community service, and $50,100 in forfeiture and other fees by U.S. District Court Judge Dana Christensen. Assistant US Attorney Joe Thaggard had sought six and a half to 8 years in prison for Daubert. Florio, Gwen. "Medical Marijuana Activist Daubert Gets Probation in Federal Drug Case." The Billings Gazette. The Billings Gazette (Billings, MT), 06 Sept. 2012. Web. 04 Feb. 2013. <http://billingsgazette.com/news/state-and-regional/montana/medical-marijuana-activist-daubert-gets-probation-in-federal-drug-case/article_7c3b567c-b262-5a84-aae8-5b4ea3838bb4.html>. Florio, Gwen. "Medical Marijuana Advocate Pleads Guilty to Federal Drug Charge." Missoulian.com. 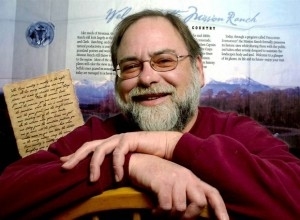 Missoulian.com, 04 May 2012. Web. 03 Feb. 2013. <http://missoulian.com/news/state-and-regional/medical-marijuana-advocate-pleads-guilty-to-federal-drug-charge/article_e857a4c6-9554-11e1-8fe5-001a4bcf887a.html>. "Thomas Frederick Daubert, Jr. Sentenced in U.S. District Court." USDOJ: US Attorney's Office. United States Department of Justice, 10 Sept. 2012. Web. 03 Feb. 2013. <http://www.justice.gov/usao/mt/pressreleases/20120910112017.html>.